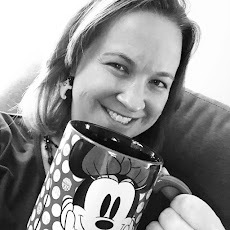 Running on Pixie Dust: Disney and Pregnant! When we booked our trip in May, we didn't know that a 4th member of our family would be making the trip with us - even if he wasn't born yet. When we found out about our future Disney fanatic in the making, I immediately began worrying about traveling to WDW at 7 months pregnant. 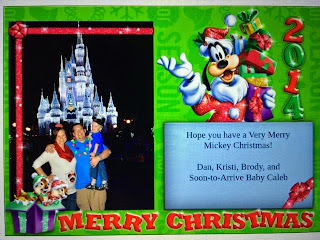 Below are some tips and tricks I'd like to share if you happen to be traveling to the "House of Mouse" while expecting. Chilling with Pluto on Main Street USA! Remember to Rest - It's easy in Disney to get swept up in the excitement and want to do everything possible during your visit. However, rest for you and your baby are important to keep up your endurance for the length of your trip. We were lucky to be traveling to Disney with our two year old that required daily nap time and early nights back to the hotel. When planning our days and dining reservations, I always remembered to plan for mid-day rest at the hotel. While I didn't always nap alongside of Brody, I did take advantage of the few hours of quiet respite on our balcony at Animal Kingdom Lodge and putting my feet up. 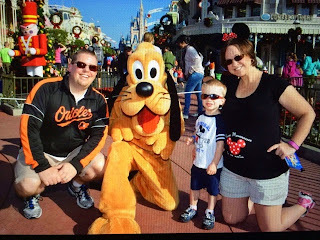 Be Proud to Be Pregnant - Show off your bump in Disney and take lots of pictures! One thing that shocked me was that Disney Store doesn't carry maternity shirts (P.S. Disney - You're missing out on a racket there. . .). I found 2 cute shirts on Etsy that I wore during the trip. 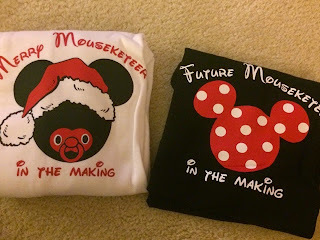 Each of these shirts garnered lots of compliments from other park guests and cast members alike. They also were perfect in pictures so that Baby Caleb can see his first trip to Disney! Don't Forget to Drink Water. . .And Find the Bathrooms (All of them!!) - Dan joked that I hit every bathroom in Disney during our 5 days in the parks. He's probably right. Even though we weren't traveling in the oppressive Florida summer, staying hydrated is of upmost importance to pregnant ladies. At the point in my pregnancy that I was and the position of the baby, I didn't have much of a lull between bathroom breaks. Grab a park map - even if you're a Disney expert - so you can find the closest bathrooms when needed. Accept Limits - You can Google a list of rides that are not recommended for pregnant women. Many of them are what you would expect - sorry, no Tower of Terror. However, be sure to check restrictions out either before or during your trip because some may surprise you. I didn't think about Kilamanjaro Sarfaris as being a risky ride during pregnancy until I saw the restriction and then thought about all the bumps along the way. Even rides that you are OK to ride may not be super comfortable. Climbing in and out of the Jungle Cruise boat, for example, may be no big deal normally, but becomes quite a chore (and somewhat funny for others I'm sure) when you're center of gravity is all off kilter. Our Christmas cards that showed off my proud baby bump! You can have a wonderful time in Disney pregnant. Take this trip to enjoy some of the slower paced activities and soak in your surroundings. Remember that it may not be the action packed trip that you're used to, but hey, there's always next year for that, right?